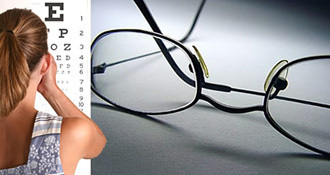 The purpose of an eye examination is not to write a prescription so that we can sell you glasses or contact lenses. It's far more important than that: at Sunrise Eye Associates, we focus on helping you maintain optimal ocular health. To accomplish this goal, we provide a comprehensive, three-part examination that uses modern techniques and consists of a series of tests. We also explain everything, every step of the way, so that you understand what we're doing and why each procedure is important. 1.Your History. Taking your complete medical and eye histories is one of the most important parts of the exam, since many medical problems can affect your eyes. We also ask general questions to learn more about your lifestyle so we can discover any other information that may have an impact on your eyes. 2. Eyeglass Examination. You'll undergo objective tests that let us observe and measure your eyes without your active participation. This allows us to get accurate measurements about the required eyeglass prescription as well as the strength and coordination of the eye muscles and how they work together. These objective exams also allow us to examine preschool children who may be pre-verbal. Additionally, you'll take subjective tests that require your participation in the form of an answer. These tests make some patients nervous about giving the "wrong" response. Please don't worry answers are checked against each other and against the objective-test results. That means that your results never depend on any one response. 3. Eye Examination. Having 20/20 vision is not the same as having healthy eyes. There are many diseases that can affect the eyes long before symptoms or vision problems are present. Sunrise Eye Associates has the specialized equipment and technologies required to do a thorough ophthalmologic health exam that can detect a variety of potential problems. The practice has invested in the state-of-the-art technologies that help us perform comprehensive examinations on all patients. A biomicroscope lets our doctors look in detail at the front section of the eye and to test for glaucoma. An ophthalmoscope allows us to look inside the eye to view the delicate nerves and tissues that allow for vision. Visual field analysis is used for glaucoma and neurological eyedisease detection. Ultra-sound equipment is also used to check for glaucoma and cataracts. Dilated Retinal Exam - A separate, special testing procedure, called a DILATED RETINAL EXAM is recommended. This test uses "drops" which open the pupil. Looking through a small pupil is like looking through a keyhole in a door. The drops open the door to the eye and provide a more comprehensive exam by allowing me to look for retinal holes, degeneration's, and tumors, which otherwise could not be seen. The drops may cause blurry vision for 2-4 hours. A separate appointment is occasionally made so that someone can accompany you if you have problems driving. AS A FINAL REMINDER: DO NOT worry about making a mistake. Tell me about your vision tasks at work, at home and at recreation. You eyes have to last you a lifetime. Take care of them and will provide you with clear, healthy vision! We'll continue to upgrade both our equipment and our educational credentials so that you continue to receive the finest eyecare available. Sunrise Eye Associates believes that eye and vision-care needs to start early at six months to one year of age. That's because vision development is mostly complete by the age of six. If a vision disorder, such as ambylopia (or lazy eye), isn't discovered until this later age, the problem is far more difficult to correct, it all possible. And this can lead to a permanent vision disability. By discovering potential problems early on, however, we can take steps to prevent vision problems in your children and start them on a lifetime of quality vision. You'll also find that this will help them perform better in school and in their activities. Please note that children don't need to be able to speak in order for their eyes to be examined. Your pediatrician doesn't need to converse with your child to provide a complete exam and neither do we. In the early years, vision examination is done through measurement of the eye, which determines whether or not a child may need glasses or have eye muscle development problems. And ocular health is evaluated with a dilated retinal examination. You can also rest assured that Dr. Gold is highly experienced in working with infants and young children. His calm, caring manner will reassure your child throughout the exam, and he has a great rapport with the older kids, too! So don't wait to have your child's eyes thoroughly examined. Call us if you have any questions or concerns we'll make the time to discuss them with you. As part of his commitment to eye-care for children, Dr. Gold participates in the American Optometric Association's National InfantSEE Program. This public health program, started in 2005, is designed to raise awareness that eye and vision care should be an integral part of infant wellness, starting children on the path to a lifetime of ocular health. As a participating optometrist, Dr. Gold provides a comprehensive infant eye assessment, at no cost, within the first year of an infant's life (a practice he has promoted for the past 20 years, as a matter of fact).